Escape To these 8 Quiet Places in South Africa ~ Travelling can be exhilarating, eye-opening and, more often than not, transforming. The bustle and rush of seeing, doing and experiencing the abundance of what South Africa has to offer its visitors can sometimes prove too much for the wearied tourist. With its vast spaces and incredibly varied selection of landscapes quiet places in South Africa provide refuge for visitors and locals alike. 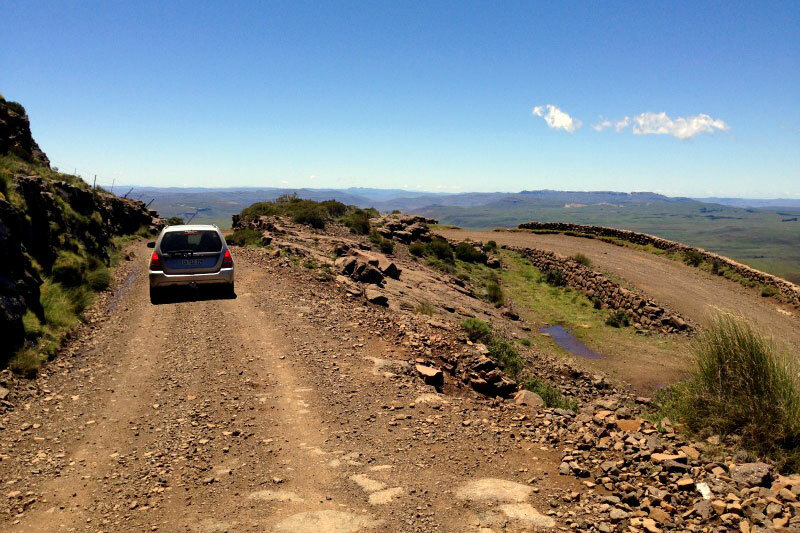 This stark yet ruggedly beautiful part of the Karoo is out in the middle of nowhere. Well, in the middle of the country’s interior miles from anything resembling a city, to be more precise. You’ll have to accustom yourself to great distances, open spaces, vast blue skies and silence so loud it practically roars. 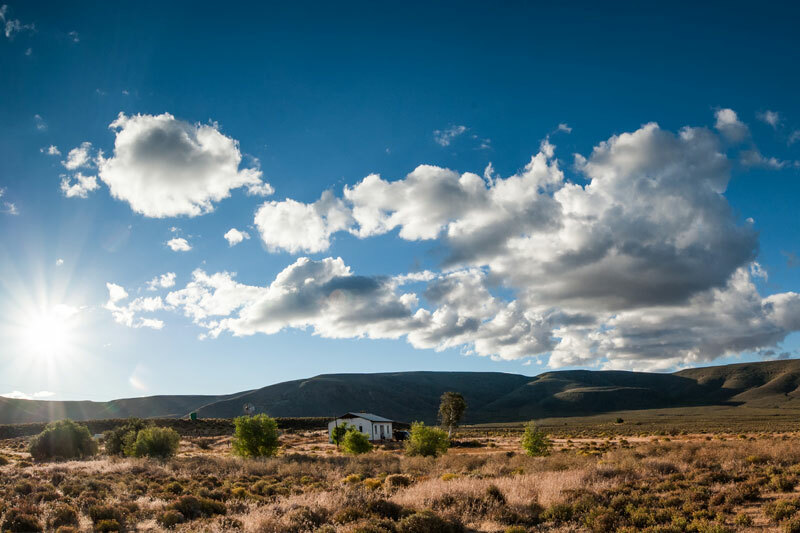 This quiet place in South Africa is the heart of the Roggeveld Karoo where dirt roads dominate, getting anywhere involves at least one mountain pass and the vistas are pretty much staggering. Most of it is protected as the Tankwa National Park where a stay will give you the remoteness you seek. Be aware that the roads require a 4X4 vehicle (only diesel available in the park) and you’ll need to stock up before going. 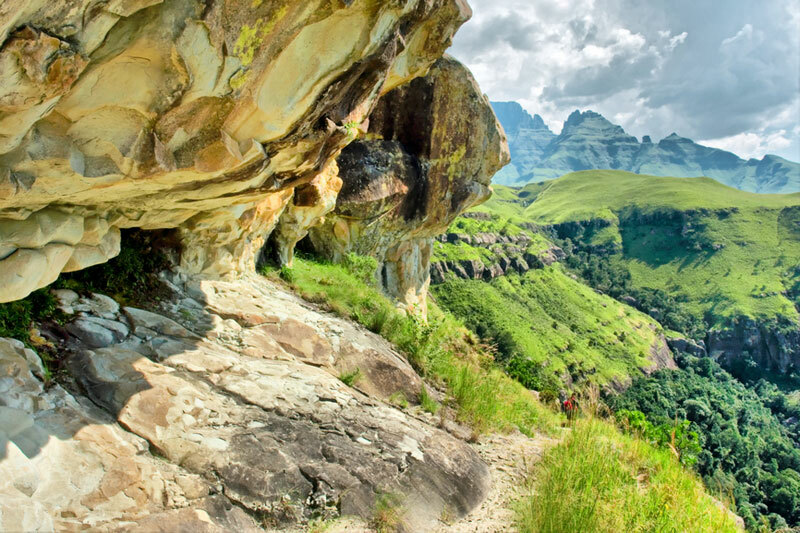 The northern Drakensberg is where you’ll find the Amphitheatre – KZN’s most photographed wall of basalt peaks (100 metres up; a height maintained for roughly 5 km), from which the area derives its name – dragon mountains. You can scale the mountain if you have a head for heights and can handle a chain ladder. But it isn’t your only option as the area is awash with walks and hiking trails, most of which take you on a journey into silence and space. Numerous of these are overnight cave hikes – you’ll not find a more quiet place to escape to. Time, and man, have both forgotten about Rhodes where it sits perched in amongst mountains so huge that its quaint Victorian-style charm seems insignificant until you arrive in the tree-lined, cottage endowed historical town. Silence and star-studded skies feature prominently, as does the 8 passes challenge, a 4X4 drive up and down eight linked passes through mountains that serve as the border between the Eastern Cape and Lesotho. For this reason you might want to choose your visit carefully so as to miss any serious 4X4 community weekends, the annual Stoepsitfees (Feb) and the Wild Trout Flyfishing Festival (March) if it’s quiet places in South Africa you’re after. You might not want to tell too many people about this quiet places in South Africa on the lower reaches of the Duiwenhoks River, just south of Heidelberg (and far enough off-the-beaten-track to have remained ‘undiscovered’ by most). Its name is something of a conundrum (it means ‘entertainment’ or ‘amusement’) but I’ll leave you to work it out. Town’s main road is a handful of white-walled Cape-style cottages, and a sometimes open shop so, unless you’ve business here it’s unlikely you’ll just drive in for a look-see. What used to function as a toll house and halfway spot between Riversdale and Still Bay is now one of the quiet places in South Africa you’d rather no-one else discovered. 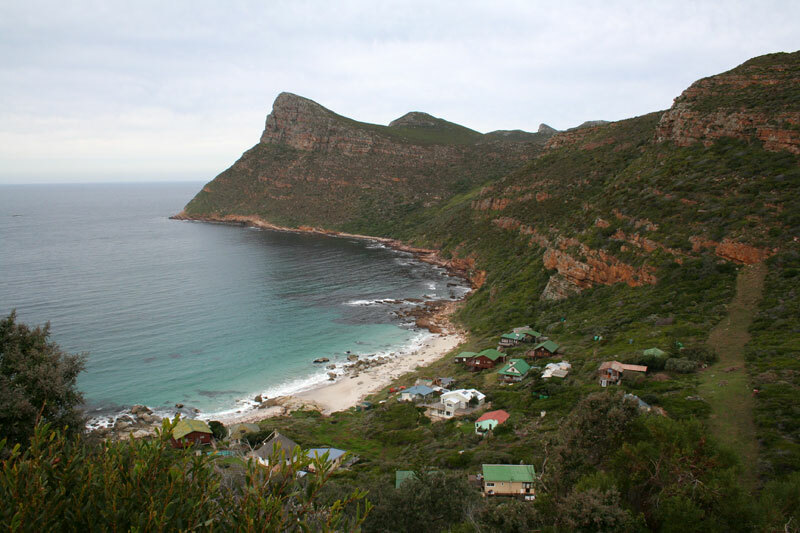 Smitswinkel Bay lies at the bottom of a steep cliff on a corner of Main Road just outside the Cape Point Nature Reserve in Cape Town. That it’s remained undiscovered and undeveloped thus far is only down to its steep sides, lack of tarred road to the beach, and the hand of fate (may it long remain so). The viewpoint up at the top is popular and often busy, but few realise that it isn’t private and that the way down to the beach isn’t too difficult (it’s the way back up that might impede your style). This is the most secluded of the quiet places in South Africa – there’s no electricity, no street lights, no shop, only solar panels, the sky and the constant whish of the waves as they hit the shore. 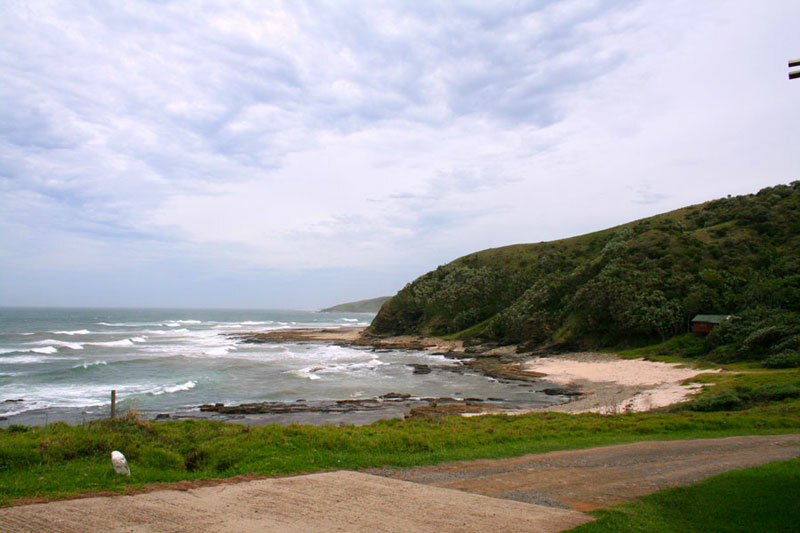 This simply breathtaking Marine Protected Area lies midway between Coffee Bay and Port st Johns, protecting 4 km of the Wild Coast, one of the quietest places in the country because the roads aren’t that great and you’ve got to really WANT to visit to venture out here. Hluleka, other than being a rough drive, can only be described as beautiful with cliffside chalets and the chance to kayak and dive its shores, or hike alongside the beach whilst looking out for the long list of birds and wildlife. What appears to be a harsh environment – it can be described as nothing other than the massive, mountainous desert it is – lies in the extreme north-west corner of the country offering quiet so loud you’ll have withdrawal symptoms upon leaving. 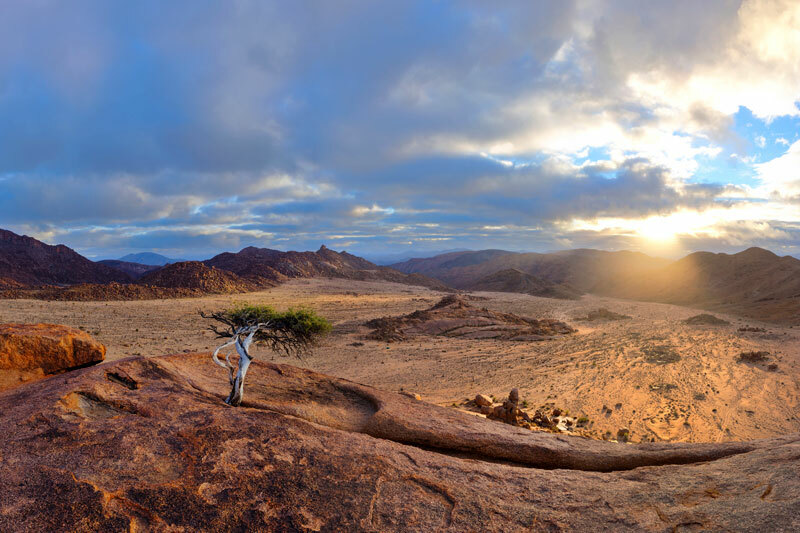 Some of the world’s richest desert flora litters the Martian scapes of the Richtersveld National Park and World Heritage Site, home to what remains of the Nama people who call these rare succulents ‘halfmens’ or half human. 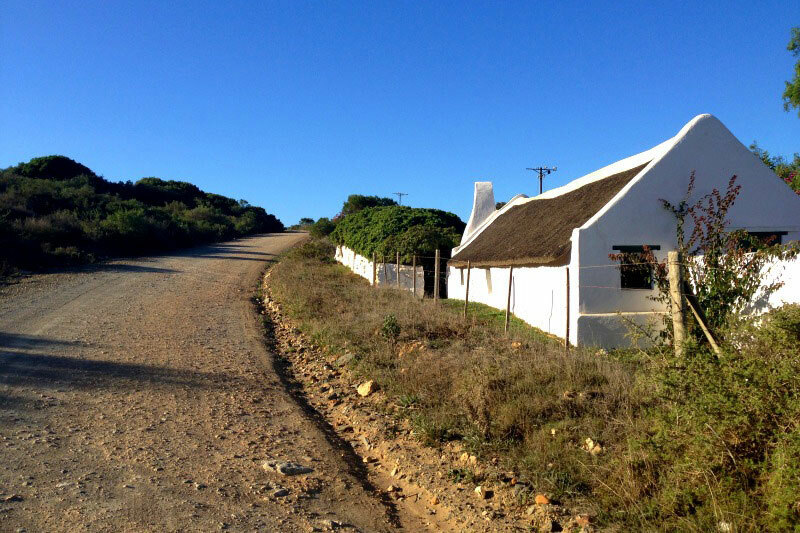 This pretty rural village lies tucked into the boundary area between the Eastern Cape and the Free State right up against the Witteberg Mountains close to the Karringmelkspruit River gorge, its roads mostly untarred and often sprinkled in snow during the cold of winter. Any visitors are here for the incredible beauty of the area – hikes, birds, fly fishing, 4×4 trails – and the San rock paintings up in the hills. 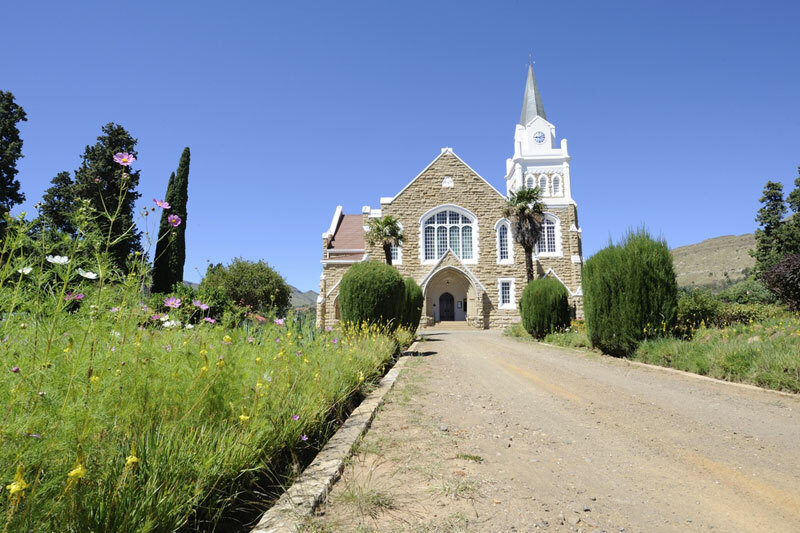 Town is littered with Victorian-style cottages and a dynamic Dutch Reformed Church close to the hills on the edge of town. This is one town that will almost guarantee you the quiet you’re after, although you might want to avoid the Easter Passion Play when the town comes to life.